Kaili FY is a colorful font created by Gregori Vincens,Bertrand Reguron, Gia Tran, Alisa Nowak and published by Fontyou. Characterized by lively, cool lines and shapes, it explores what defines Indian typographic features. The font comes in two weights and gives the users the chance to create a glamorous framework. 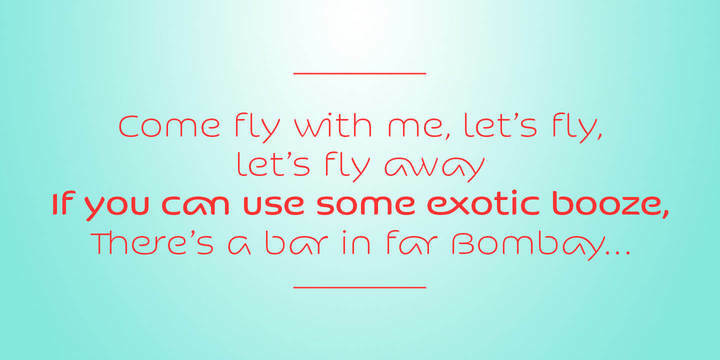 A font description published on Thursday, September 19th, 2013 in Fonts, Fontyou by Iulia that has 4,055 views.